No image of the Fossorial Giant Rat available. 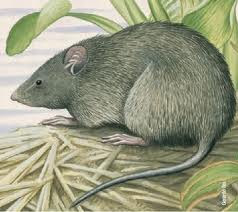 The Fossorial Giant Rat was first reported by Winge in 1887. They inhabit both Argentina and Brazil. This particular species is currently (2003) listed as vulnerable. The Fossorial Giant Rat is rare to see in the wild. Very little research has been carried out on this particular species of rat.